I’m a huge Yes fan and Yes collector. For that reason I tend to buy various configurations of Yes albums. I’ve been known to get a new CD just because there’s some different text on the label. I’ve got multiple variations on different Yes albums. So, when Fly From Here came out, I bought the vinyl. I just put it away – part of my collection and never spun it. Then, after hearing how good the LP of Open Your Eyes sounded, I decided to give it a spin. I’m glad I did. This sounds so much better on vinyl than it does on CD. It really sounds a lot more like the classic Yes sound. I’d recommend anyone who’s only lukewarm to Fly From Here to pick up the vinyl and give it a try. Since I already reviewed the CD version – and this has all the same music, I’m going to include that here for the sake of consistency. Just remember that, the vinyl feels more like Yes than the CD does to me. Only the second studio album in the history of Yes to be recorded without Jon Anderson, this one, particularly since it’s the only other Yes disc with Geoff Downes on keyboards, is obviously compared to Drama. Since Trevor Horn produced this, that comparison is even more valid. In many ways, the music here is similar to the sounds on Drama. It’s tough to talk about Drama without understanding that really its sound was basically a merging of the Buggles (from which Horn and Downes emerged) and Yes. In many ways that description fits here, but I’d have to say that while a real stomper like “Machine Messiah” showed fire and a real classic Yes element, the dominant sound here is closer to Buggles. Part of that owes to the arrangements of the music, but part is due to Benoit David’s vocal delivery which is quite similar to Horn’s vocals in Yes. Honestly, the opening suite (side one of the LP), which is a completion of a track Yes began writing for Drama, is the best “song” on show here. It is also the most successful merging of more Yes-like sounds with Buggles elements. Honestly, one of the reasons Drama was a powerful set was that the Yes-like songs were strong and really rocked, in opposition to the more textural Buggles like bits. This disc doesn’t manage that balance, as well. There are some moments in the remaining shorter tracks, but most of it kind of pales in comparison to the epic. All in all, this is a good album. It’s far from the strongest Yes album ever produced. 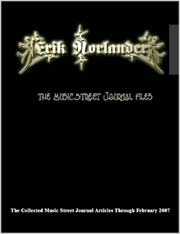 Fans of Drama will probably like it the most, but they will probably also lament the fact that it doesn’t rock anywhere near as hard as that album did. I’d say that the epic suite is very strong, but nowhere near the level of a “Close to the Edge” or even “Minddrive.” As a long-time Yes fanatic, I’d chalk this one up as somewhere in the middle of their catalog in terms of strength of composition and performance. Of course, even weak Yes (and this isn’t weak, just not extremely strong) is better than the best from a lot of bands. I’d love to hear some of this material live because it probably will work better in that setting than on this studio album. This instrumental is dramatic and keyboard dominated. It has a lot of Drama era Yes, and by extension Buggles, built into it. It really feels like it would have fit on Drama quite nicely. Dramatic piano leads of here and David’s vocals feel very much like Trevor Horn’s performance on Drama. That means this piece stays in line with that album. It becomes more of a group performance and is quite powerful. It definitely has a lot of Buggles in it, mostly in terms of the vocals, but we also get some cool bursts of guitar from Howe and some other more purely Yes-ish elements. The chorus is accessible and contagious and Squire’s bass-lines also call to mind his work on Drama and Tormato. There’s a cool instrumental break later that’s more in keeping with recent Yes. Some of the guitar dominated movements of this are trademark Yes. This really represents, in many ways, a solid marriage of recent Yes sounds with that Drama era element. Acoustic guitar opens this and the vocals come in with that instrument as the central backing. The cut gets more layers of sound on the chorus. In many ways, this feels more like a cross between Buggles and Pink Floyd than it does anything really Yes-like. Still, it’s quite a strong piece of music and there are some decidedly Yes-oriented bits on show at times. Buggles are seriously on order here. There are some moments that are more purely Yes-like, but overall this is really like Yes does the Buggles. That said, it’s quite strong. Quirky and bouncy, this is a bit odd, but one of the most decidedly Yes-like bits here. In some ways it reminds me of a cross between “Five Percent For Nothing” and Tormato. At least that applies to the extended, nearly minute and a half introduction and the recurrence after the short vocal bit. While that vocal section is more Buggles-like sounds, the outro is incredibly trademark Yes. As one might guess, this includes a reprise of the accessible chorus from earlier. It’s very much in keeping with a Drama era Yes sound. The instrumental section really feels like it could have been included on that album. It serves as a nice conclusion to the suite. Musically, this song works reasonably well, and feels more or less like Yes. The vocal presence here, really doesn’t seem very much like Yes, though. And, in fact, the more rocking segment of the song is another part that feels a bit like a cross between Buggles and Pink Floyd. This is not bad, but pales in comparison to the strength of the opening suite. Of course, it’s tough for a reasonably short song to compete with an epic. I really like this acoustically driven song a lot. Again, it’s a different sound for Yes. In a lot of ways it makes me think of the mellow section of King Crimson’s “In The Court of the Crimson King.” The faster paced jam later is more like a traditional Yes sound. It rocks out pretty well later, too. The ending section is among the most traditional Yes sounding music on show here. It’s a shame it doesn’t last a little longer because it’s one of my favorite parts of the album. The bass line to this brings in some classic Yes sounds, but overall this is kind of a pop rock oriented mellower number. In some ways comparisons to Tormato could be appropriate, but this just seems sort of average in a lot of ways. Here we get a Steve Howe acoustic guitar solo. It’s tasty and proves that he’s still the maestro, but one has to wonder if maybe a full band treatment might have been better here since this is a Yes album. 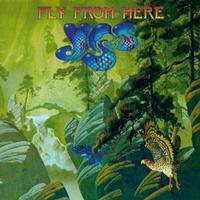 Don’t get me wrong, I like this a lot, but Fly From Here is a Yes album, not a Steve Howe album. Sure, Howe solo pieces have appeared on other Yes albums, but I’ve always (except for Fragile where each member of the band had his solo piece) wondered why a band cut wasn’t included instead. In a lot of ways this song is the most like traditional Yes. It feels a lot like “Does It Really Happen?” or “Tempus Fugit” from Drama, but with some added helpings of Buggles from the keyboards and David’s vocals. There is some killer guitar work from Howe and other than the epic suite, this is the strongest piece of the set. I really do like this one a lot and it’s a great way to end the set in style. Tormato is also a valid reference point.